The quality of science teaching-learning plays an important role in establishing student’s competence that covers the 21st century skills. In regard to this, SEAMEO QITEP in Science which has duty is to improve the quality of science teachers and education personnel, puts STEM education as its main focus. 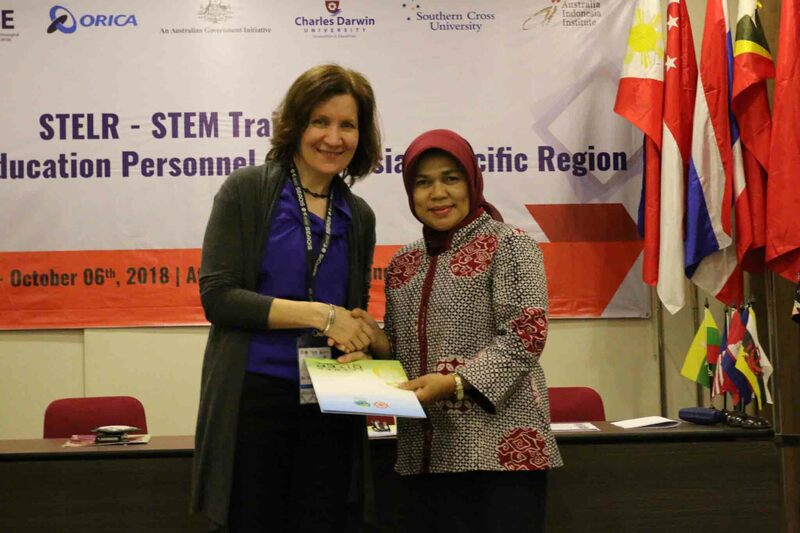 In doing so, SEAQIS establishes collaboration with relevant institutions, and one of them is the Australian Academy of Science and Engineering (ATSE). Seeing the positives responses and the success of the previous year’s training, SEAQIS continued to retain the scope of the training to be participated by the citizens of SEAMEO Member Countries and also teachers and education personnel from Asia Pacific, by conducting the STELR-STEM Training for Teachers and Education Personnel of Asia – Pacific Region. 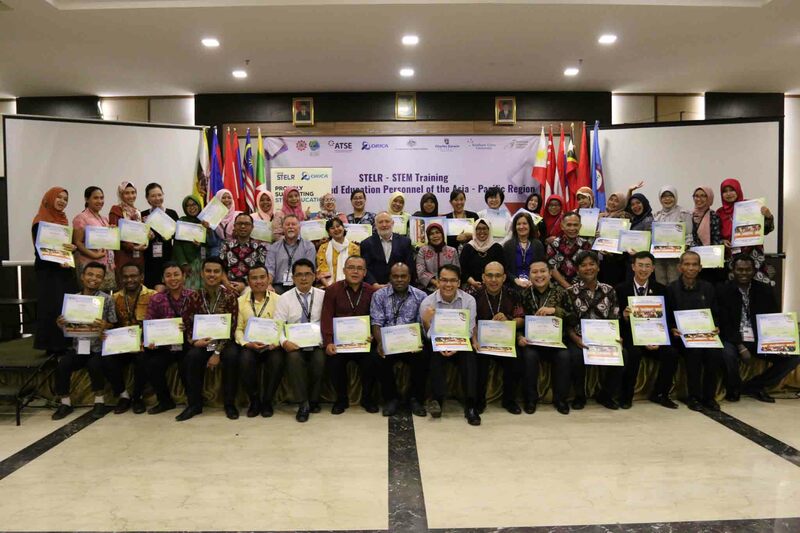 The training was conducted from 30 September to 6 October 2018 at Atlantic City Hotel Bandung. 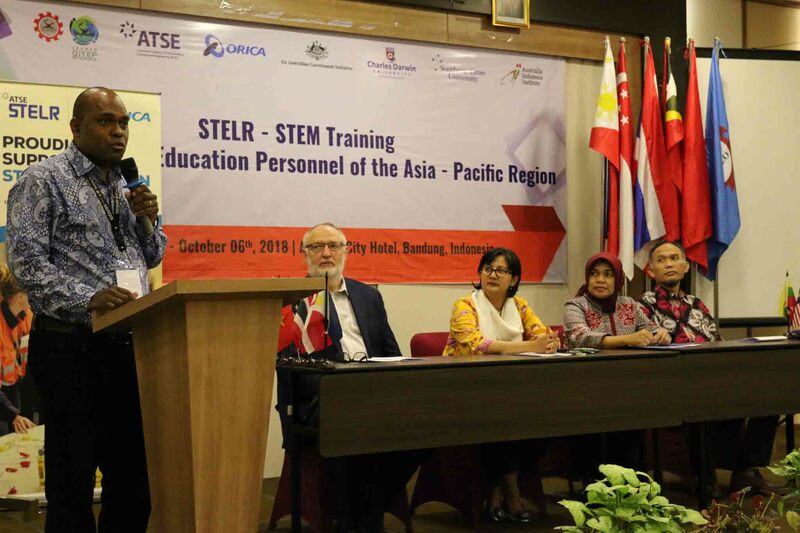 Attended by 40 representatives from eight countries, the training was facilitated by Mr Peter Pentland from ATSE, Dr Greg Smith from Charles Darwin University, Dr Connie Cirkony from Deakin University and Dr Simone Bloom from Southern Cross University. The training was officially opened by Secretary General of MoEC, Dr Didik Suherdi through video presentation. The opening ceremony itself was attended by the Director of SEAQIS, Deputy Director for Programme, and Representative of PT Kaltim Nitrate Indonesia. During the training, the participants were introduced to various activities concerning STEM education and also STELR activities, such as Wind and Solar Energy activities, Solar STEM, Climate Change and Ocean, Water in 21st Century, and Sustainable Housing and Sustainability. Besides, they also learned about education theory, and at the second day, they were introduced to Renewable Energy Application in Indonesia presented by the keynote speaker, Prof Dr. A.Harsono Soepardjo, M.Eng. 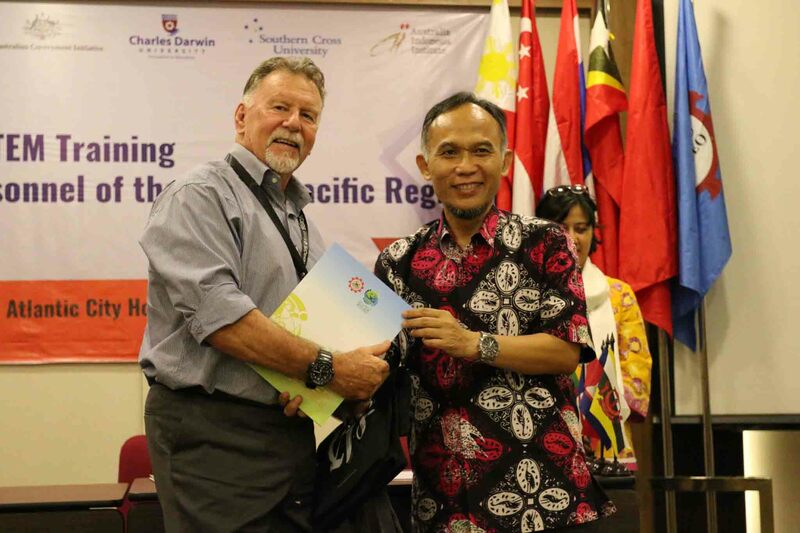 Director of Center for Marine Studies, University of Indonesia. A visit to Saung Udjo was also one of the activities that the participants loved the most since in this cultural visit activity, they watched a traditional performance such as dance, angklung instruments played by the students of Saung Angklung Udjo. 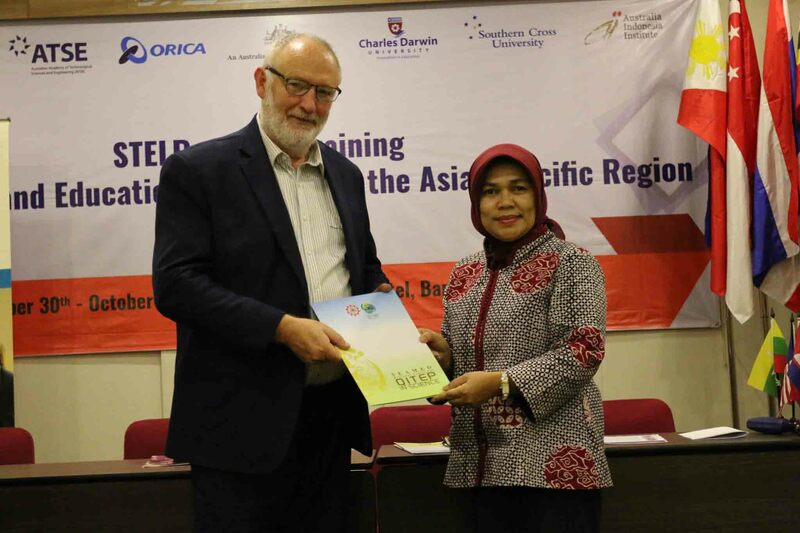 The programme was concluded by a closing ceremony, attended by Director of SEAQIS, Deputy Director for Administration, representative of PT Kaltim Nitrate Indonesia, and representative of the Australian Embassy represented by Ms Aryanti Savitri who delivered the closing remark and closed the training officially.